News from LMCU: Migrating south for the winter? Look for LMCU in southwest Florida! Migrating south for the winter? Look for LMCU in southwest Florida! 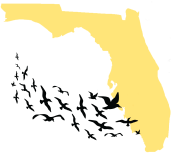 LMCU now has two full service branches in southwest Florida (Naples, Bonita Springs), that makes it convenient to handle all your banking needs while out of state, including purchase of a seasonal home or primary residence, new construction or refinance. We even have a new wealth management specialist onboard. Look for the familiar blue and white LMCU signs. They’ll make you feel right at home.